I woke up at 5 am this morning after a restless night thanks to my good old friend, the jetlag. I tried to fall back to sleep till 7 am but then eventually gave up. After a not-so-healthy but certainly tasty breakfast at iHop (the buttermilk pancakes are to die for!) it was time to take a nice long walk and visit the city of San Francisco. The first stop was Washington Square and I was pleasantly surprised to see people doing tai chi in the park. The route took me to Chinatown next, I walked along the main street browsing the stores and as I got to the Chinatown gate the rain started to fall heavily. 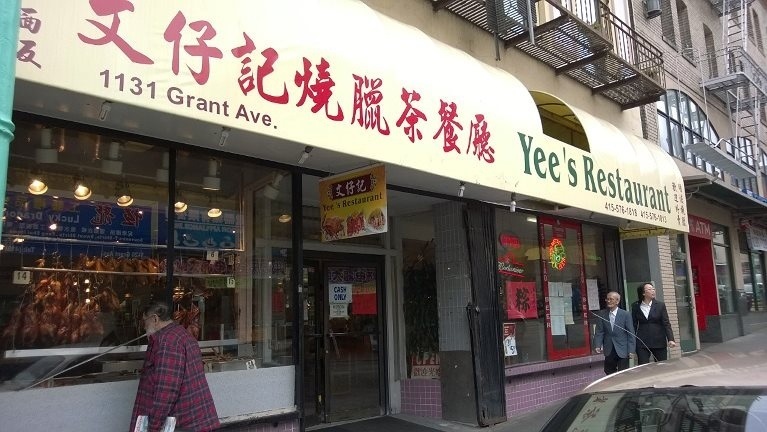 Btw, if you ever happen to be in Chinatown go visit this restaurant, it’s pretty challrnging to order but the food is phenomenal! I planned to go shopping today anyhow so the rain was a perfect time for this. I headed to Union Square and went straight to the Nike Store followed by Macy’s where I spent more time than planned so the Starbucks in the store was a great refuge to take a break. After visiting also the Levi’s store and GAP and some more, it was time for my credit card to take a breath and relax so I checked and found a movie theater nearby. Foursquare is a great service, I can search for anything from stores to cinemas and all kinds of other places and the shows at the cinemas are displayed directly in the app. 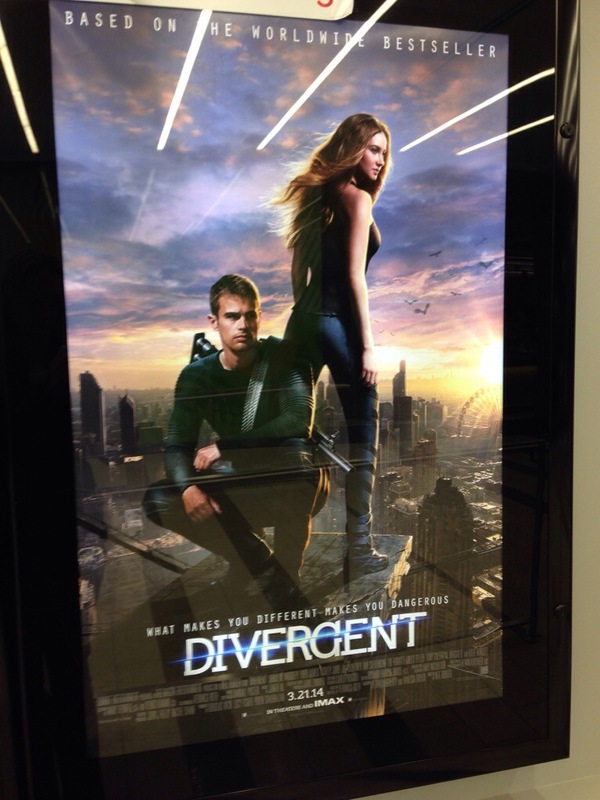 I got to the AMC Metreon 16 right on time for Divergent. This movie was suprisingly good! The story is sort of similar to Hunger Games and the actors are good. I actually saw the trailer some time ago and I wanted to watch this movie ever since but I forgot all about it and remembered it only after the first 15 minutes into the movie. If you enjoyed Hunger Games I definitely recommend this one! I was so happy to see that the sun was shining again after coming out from the cinema and even though I was tempted to walk some more, I had too many shopping bags to carry so I took the F tram instead back to the hotel. It might be almost unbelievable but shopping can be pretty exhausting and I needed to rest a few minutes before dinner. Nutrition-wise I had a calorie-dense breakfast but skipped lunch (confession: I had popcorn at the cinema) and I plan to have only a small dinner at a nearby Mexican restaurant a bit later. My exercise today was 15,000 steps which I took today so far and this will increase with the evening walk after dinner. I saw the hotel gym today but it has mostly cardio machines only and I am not sure that I will have time to work out anyhow, I will try to stick to my daily calorie and macro goals instead and walk a lot. I actually feel almost like being at home here in San Francisco. Everything is so familiar (I was here last year too), even though I managed to go in the wrong direction once as I was going to Union Square (sorry but I can’t read maps) and also take the F tram in the opposite direction (not my fault, the destination sign was wrong on the tram!). ‹ PreviousWelcome to San Francisco!